It was just 3 months ago that Manny Harris announced his intentions to enter the NBA Draft on the heels of an extremely disappointing season. Now, with the draft mere days away (Thursday, June 24th) we will finally see if his decision will pay off. 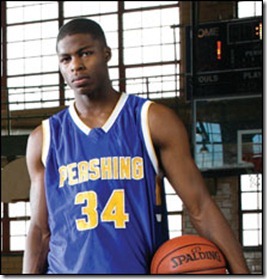 DeShawn Sims and Manny Harris were the face of Michigan basketball for the last three years. I have mixed emotions about Thursday’s draft. Most of all I am rooting for a couple of kids that gave their all to Michigan. Both Harris and Sims are by all accounts exceptional kids. Harris was consistently a member of the All-Academic Big Ten team while Sims managed to bring a smile to any situation despite dealing with more adversity through his 22 years than most could imagine. Sims and Harris were the foundation of Michigan’s best team of the decade. They were also the foundation of one of the most disappointing teams of the decade. It’s disappointing to see them leave on such a low note but it’s also important to remember the good times to be fair to the ‘Detroit Duo’. 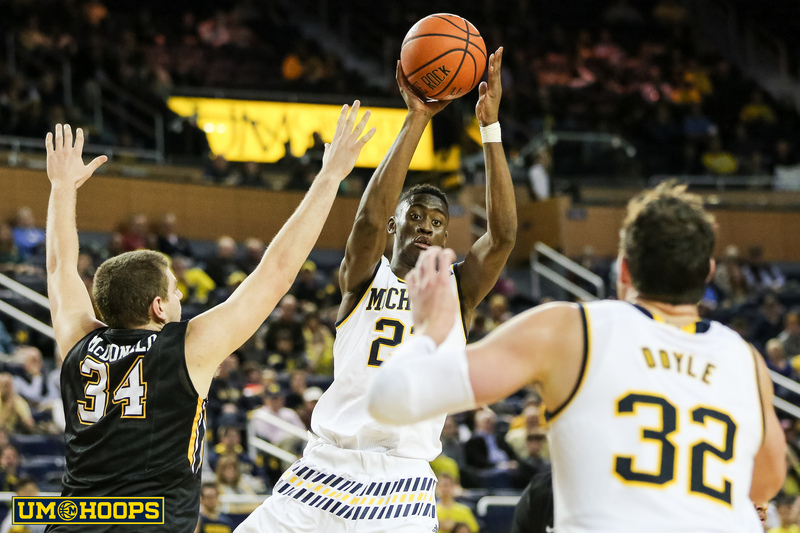 Sims and Harris were both extremely productive in Michigan uniforms. Their games might not be flawless but when you take a step back it’s impressive just how productive they were over their careers. 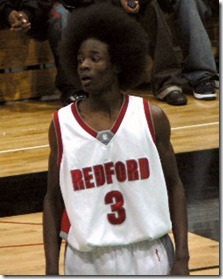 The first time I saw Harris play was at a Christmas tournament at Highland Park during his senior year. 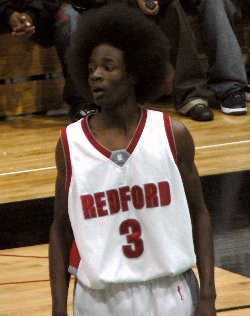 His Redford team was overmatched by a Saginaw team, which would eventually win the state championship, anchored by Draymond Green and Josh Southern. I’ve watched Harris play over 100 games since and his game has improved by leaps and bounds. Over his three years at Michigan he improved significantly in almost every statistical category. Harris went from a one dimensional scorer to one of the most dynamic off guards in the college game. He improved his rebounding (although that peaked his sophomore year) and most of all he dramatically improved his assist to turnover ratio. Sims’ improvement might be even more impressive. His freshmen year was stricken by tragedy and it was clear that Sims was a shell of the player he could be. His confidence was nowhere to be found and he struggled to finish even the easiest of layups. His sophomore year he developed his ball skills and became an inefficient wing player before blossoming in the post his final two years. When DeShawn Sims was feeling it, there was no one better. I had the opportunity to watch a few of his single handed scoring runs at neutral and away venues in person (Iowa BTT, at Purdue) and the respect from opposing fans was clear. DraftExpress recently broke down the draft’s shooting guards “by the numbers” with a look at a number of statistical categories, adjusted for tempo, per 40 minutes. Of the 15 statistics examined, Harris ranked in the top 10 of 13 categories. The fact that I try to be as analytical as possible on this blog makes it almost impossible to discount these numbers. It should also come as no surprise that Harris made an appearance in John Hollinger’s Draft Rater top 20. The question that’s on everybody’s mind right now is “will we hear their names on draft night?” I am no NBA insider so I can’t speak to that with any concrete knowledge but if I had to venture a guess it would probably be. Manny Harris: yes. DeShawn Sims: probably not. DeShawn Sims has worked out with Detroit, Sacramento, Charlotte, Cleveland, and Milwaukee and may still work out with Dallas, Utah, and Indiana. 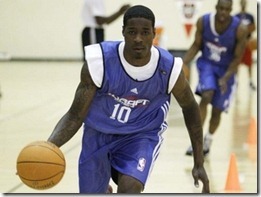 Sims also attended the Portsmouth Invitational, a camp traditionally for second round to undrafted prospects. 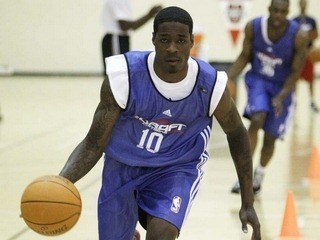 Manny Harris worked out at the pre-draft combine has worked out for New Jersey, Atlanta, Houston, San Antonio, Indiana, and Minnesota among others. Harris also participated in the NBA pre-draft combine. 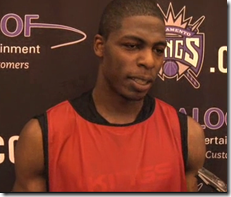 Sims and Harris are also scheduled to work out for the Knicks as well. Harris’ stock appears to be rising. He’s gone from Chad Ford’s #85 overall prospect to #44. He’s hit on miss on mock drafts. NBADraft.net has him in (at 56) while DraftExpress has him out. RealGM, ESPN, andHoopsWorld have him going to the Celtics at #52. It’s tough to find a mock draft with Sims listed but that’s not the end of the world for Peedi. While he might not get drafted, it’s very likely that Sims will get his chance to sign with a summer league team and attempt to work his way onto an NBA roster. If not, there’s probably a very nice salary waiting in Europe for a 6-foot-8 forward with a smooth stroke. I’ll be rooting for Harris and Sims intently on Thursday night and I am convinced that both players could be successful in the league. They are two players who stuck with Michigan through thick and thin. When the coach that recruited them was fired they didn’t pack their bags and head to Tennessee or Oregon. They planted their feet in Ann Arbor and went to work.